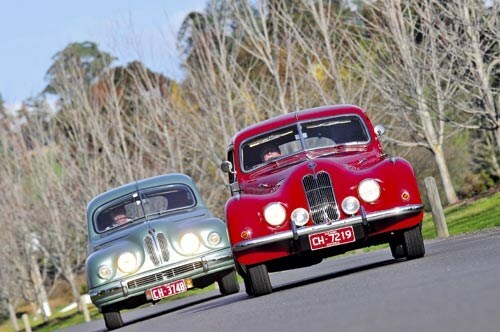 These two classic Brits were built in the same era, but their ‘stolen’ BMW-based engines and underpinnings are about all they share. 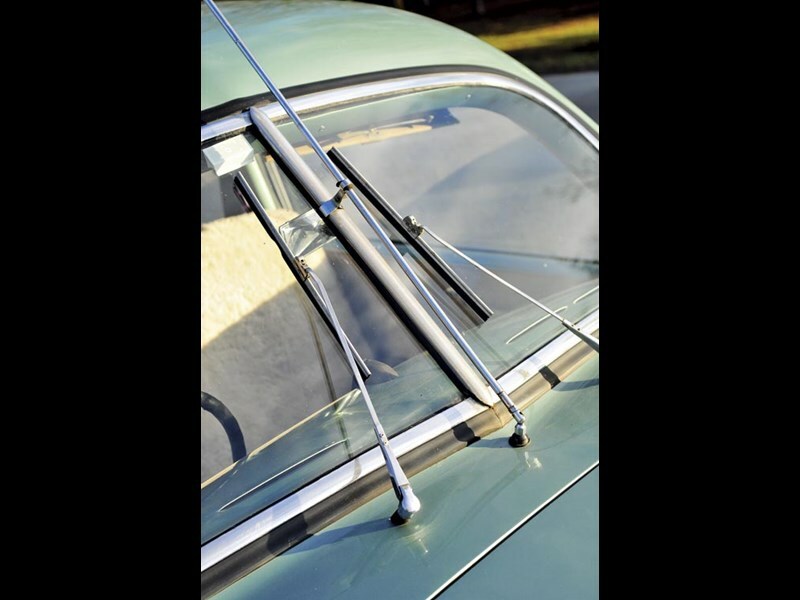 Many of us get our passion for a particular make or model car from a memorable adolescent experience. Mine for Aston Martins came when I stumbled across a brand new DB 2/4 Mk III while walking my dog in Melbourne. I introduced myself to its proud owner, tied ‘Toby’ to a tree and went for a memorable drive around the block that turned me into an avid ‘Aston’ follower from then on. Bill Franzke inherited his lifelong love of Bristols – and the enigmatic 401 model in particular – from his late Uncle Bill. 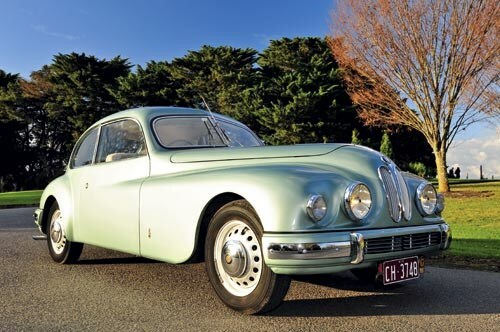 Uncle Bill was the baker in Orbost in Victoria’s far-eastern Gippsland and he must have been a bloody good one or very busy one because in 1952 he purchased a one year-old 1951 model metallic light green Bristol 401 at a time when new ones were £3100 – more than twice that of a Jaguar XK 120 and around 30 percent more than a new C-type Jaguar! 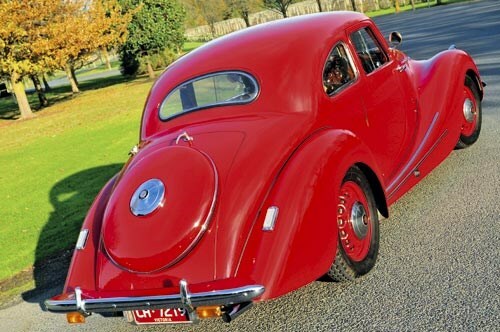 He wanted a fast, comfortable touring car to make the 380km dash to and from Melbourne and back to watch his then VFL football team St Kilda on Saturdays after he finished baking and after seeing the 401 at the Melbourne Motor Show he decided it was just the thing. His nephew recalls that Uncle Bill drove the car hard and fast. "He held the unofficial record for the Orbost-Melbourne trip of under three and a half hours," he recalled, "and in those days the roads were pretty ordinary. He used to regularly travel at 100mph (160km/h) on the open road and he’d only slow down to around 80mph (130km/h) on unmade roads!" As a kid, he recalls going down to Orbost every Christmas with his elder brother David in the family’s Austin A40 at 45 miles per hour (72km/h) all the way and the journey took an agonising five and a half hours. "But it was worth it to see Uncle Bill’s Bristol and to go for a ride in it." He used to ask his uncle "Can I buy it one day?" and when it finally succumbed to some mechanical problems in 1978 and was taken off the road he thought he was in with a chance, but Uncle Bill was still in love with the car and would start it up every month for the next decade just to hear its engine. Finally in 1989, his father got a phone call: "If Bill still wants that bloody car, tell him to come up and we’ll talk about it." 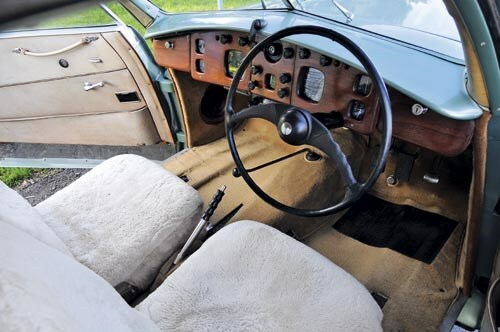 The Bristol was still in Orbost and in pretty good condition despite its hard 170,000 miles (274,000km), but its attractive green paintwork had been replaced by much less becoming ‘Harvest Gold’ to match Uncle Bill’s Range Rover. 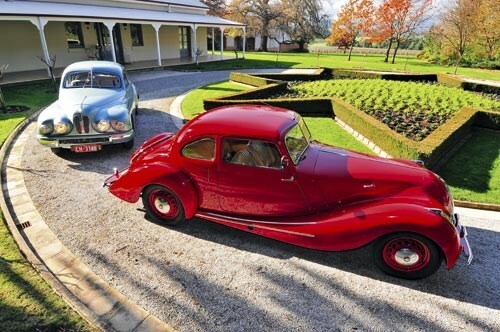 His nephew initially got it roadworthy and immediately joined the Melbourne-based Bristol Owners’ Club of Australia, where he found a great source of parts and around 120 similarly enthusiastic members, a number of whom owned up to four or five of the estimated 250 examples of the marque in Australia. Seven years ago he rebuilt the car’s engine (for the third time in its hard life) and then six years ago he returned the 401 to its original hue, using the ‘Sage Green’ from the early Commodore palette as an almost perfect match. 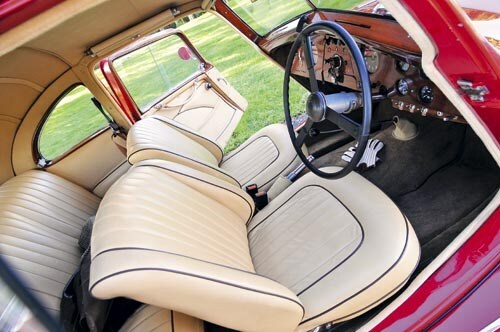 However the Bristol’s luxurious leather interior is still completely original, with a wonderful patina of an old warrior that could tell many exciting tales. 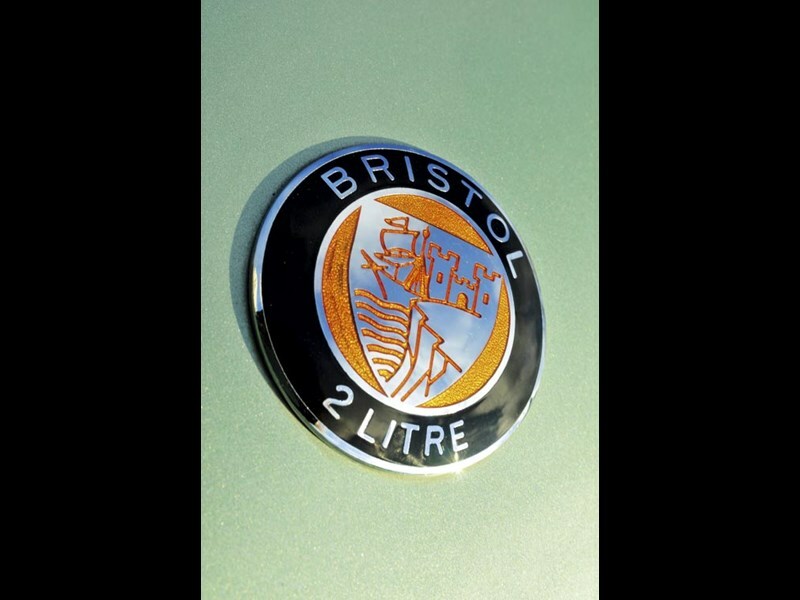 Bill’s older brother David wasn’t initially bitten by the same Bristol bug, but also grew up a petrol head. 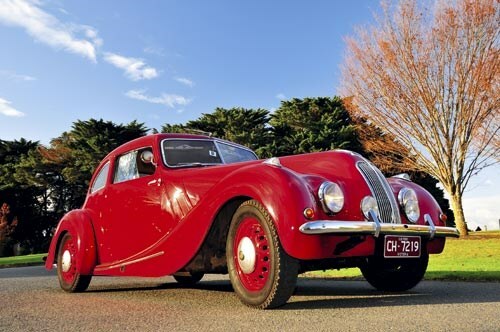 One of his neighbours was Australian Motor Sports Club member and keen trials driver Ken Harper, who was always working on interesting cars in his mother’s garage. 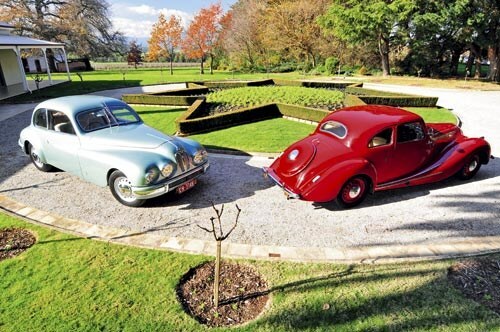 David recalls seeing Australia’s first Porsche 356 coupe arrive for Ken to prepare and co-drive in the 1953 REDeX Trial. 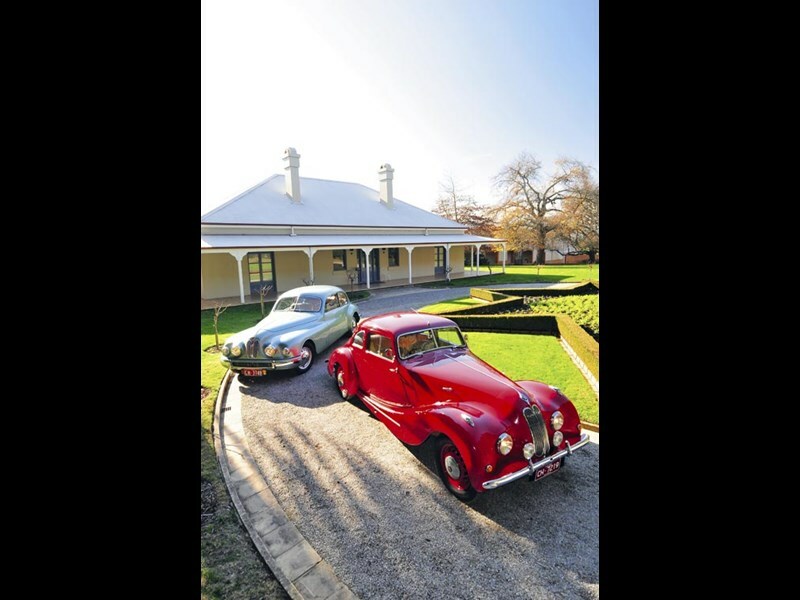 When he was old enough, David bought an MGTC, then an original 998cc Mini Cooper, but that was replaced by a much less exciting Holden when his first child arrived. After his brother Bill acquired his Bristol, David and his wife Janine used to travel in the back of the 401 with Bill and his wife Rosalie to club events for many years until six years ago Janine said to him "Our Super’s not doing much. Why don’t you do the right thing and buy a Bristol too?" What a woman! 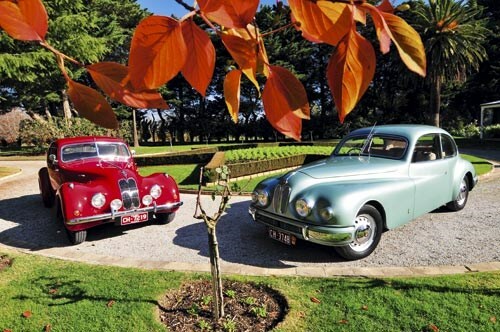 A search through the Bristol Club unearthed a 1948 400 model for sale in Brisbane. 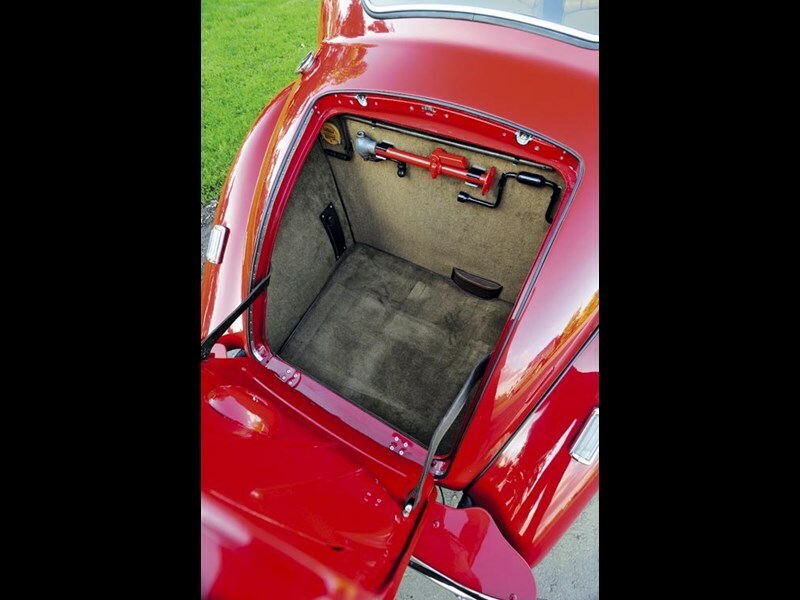 The vehicle had been body restored and had a beautiful new leather interior and excellent woodwork, but it needed some mechanical work to finish it off. 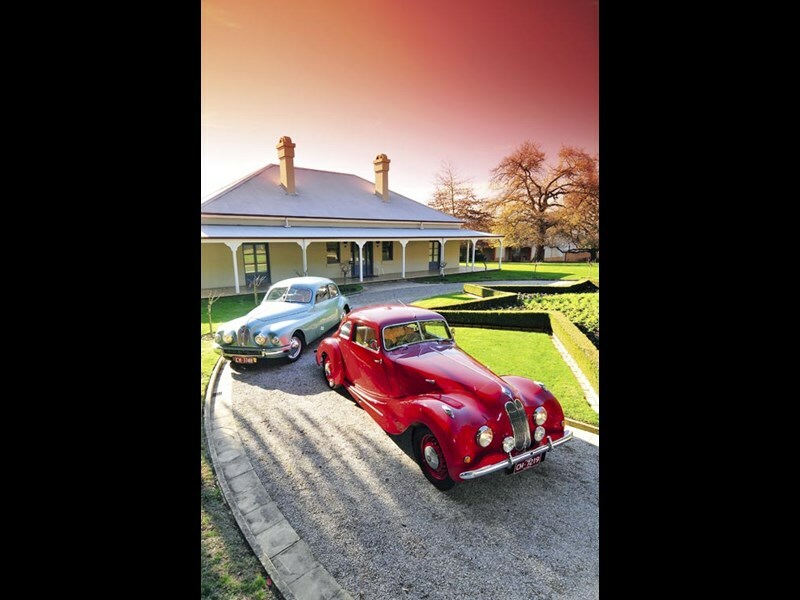 He fixed its brakes, clutch, ring gear and starter motor, but when its head gasket blew on the way to an historic hillclimb at Maldon’s Mt.Tarrengower, he rebuilt the engine too. "I really like the 400 series because it’s indicative of the 1930s and 1940s vehicle that I relate to," said David. 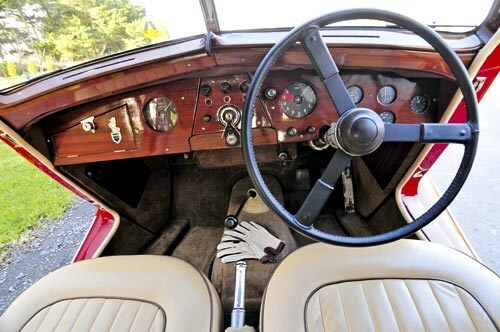 He found out that his Bristol had enjoyed an interesting life, mainly in Melbourne, and at one staged used to tow a Bugatti Type 37A around on an A-frame. Later, it moved to Queensland and spent 15 years in a shed on Bribie Island before it was restoration. 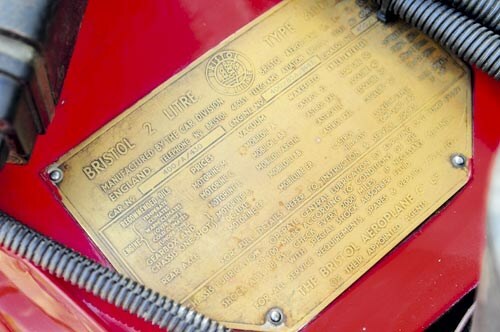 "It has been fitted with a later type 85C engine with Solex carbutettors instead of its original 85A engine that used SUs and its red paintwork is not an original colour, but otherwise it’s a great example," he said. "I’m gradually working my way through it to bring it back to as close to original condition as possible – my current project is recreating its factory tool kit, which is an interesting exercise." 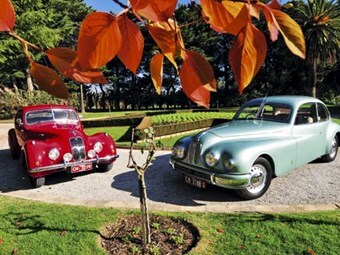 Viewed side-by-side, the Bristols of the brothers Franzke could hardly be more different, although for a brief period in the early 1950s they might shared the same production line at the UK factory. In a life-imitates-art scenario, they reflect their owners. 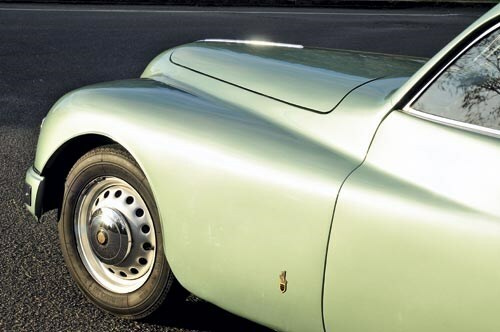 David, born in the early-’40s, owns the steel-panelled 400, which is clearly a late -’30s design, with its separate mudguards and running boards, ‘suicide’ rear hinged doors and double-hinged bonnet. 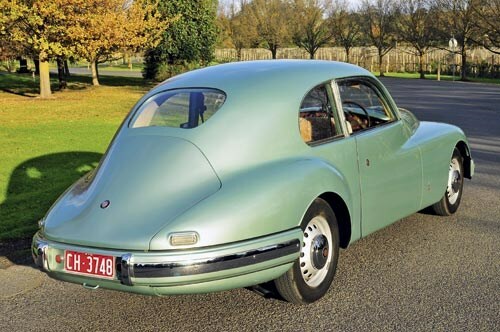 On the other hand Bill, born in the late-’40s, owns the clever ‘Baby Boomer’ 401, with its innovative lightweight and aerodynamic ‘Superleggera’ aluminium body, flush window glass, recessed door handles and single-piece bonnet. The closer you look, the greater the difference between these classic British ‘twins’. 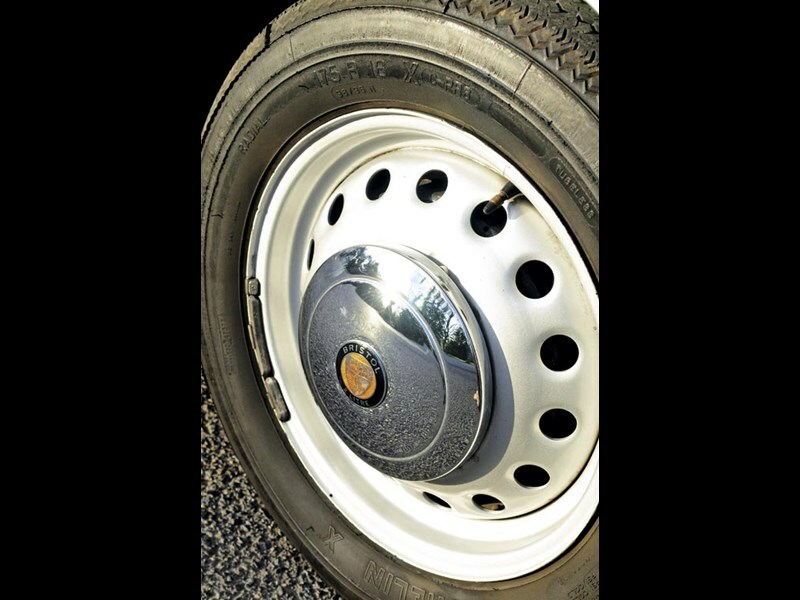 Wooden frame versus tubular steel; sliding front windows on the 400 against wind-ups on the 401; separate versus integrated, colour-coded bumpers; a boodlid mounted spare wheel compared with one neatly tucked away beneath the luggage compartment. Yet beneath it all beats a basically similar BMW-sourced heart, chassis and suspension. 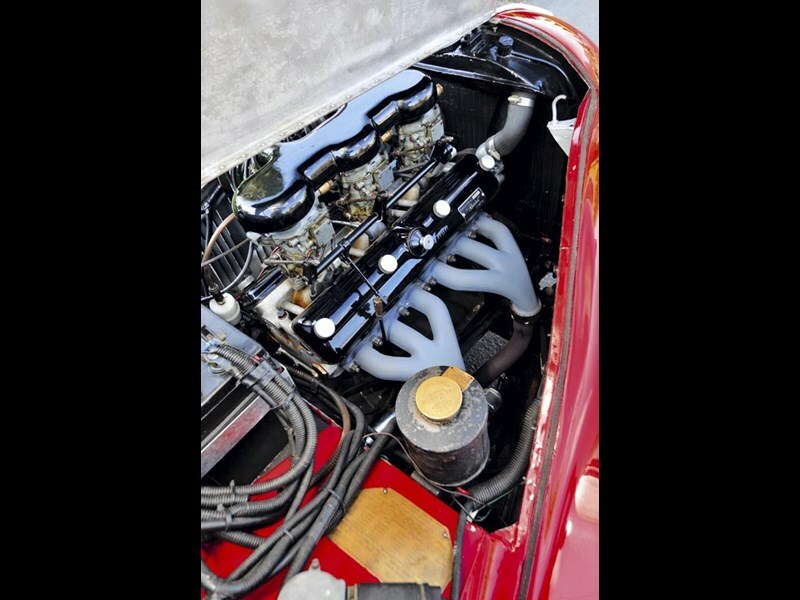 "They are immensely appealing cars to look at, they are genuine hand-built classics and in the case of the 401, they were very much ahead of their time," said Bill, explaining the attraction. "Compared with a DB2/4 Aston Martin of the same era, the 401 is a far more innovative and interesting car, yet for some reason a good example these days is worth only half as much, at best. "And if you compare the 401 against an Aston Martin DB4, which used the same Italian coachbuilder and construction technique around a decade later, the price difference is even more dramatic. "They are a true classic bargain." With the parting shots of World War II, the Bristol Aeroplane Company (BAC) could see the writing on the wall. 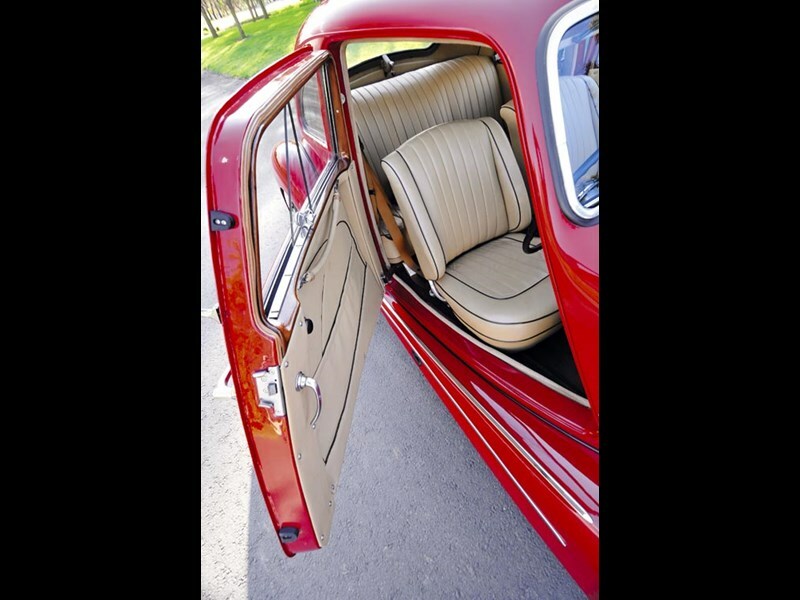 With forecasts of excess labour capacity and rising personal wealth, the world’s most successful aviation company began working with AFN Ltd, makers of Frazer Nash cars, on plans for a joint venture in automotive manufacture. By July 1945, BAC had created a Car Division and bought a controlling stake in AFN, with AFN director H.J Aldington appointed Managing Director of the new enterprise. 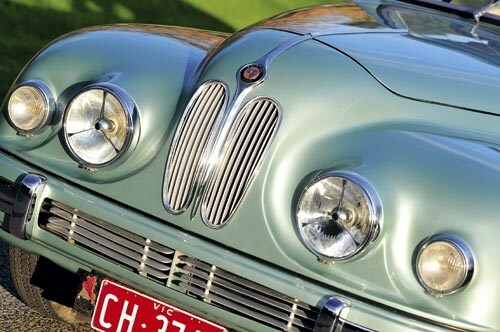 Aldington, who was still in the British Army, used his military connections to visit the bombed BMW factory in Munich several times in 1945, culminating in a 'duty' trip in October that year along with his brother and two Bristol representatives, where they gathered detailed plans of BMW cars and several development engines, which they flew back to Bristol. In a further coup, BMW chief engineer Fritz Fiedler was also given employment at AFN where he continued development of the high-tech 2.0-litre straight six-cylinder BMW 328 engine – one of the most advanced production power plants of the 1930s. This was quite a tricky manoeuvre and not strictly legal, as Munich had been declared part of the American Zone and the American Military had just issued orders for the BMW plant to be dismantled and crated up for shipment to the USA as part of war reparations. 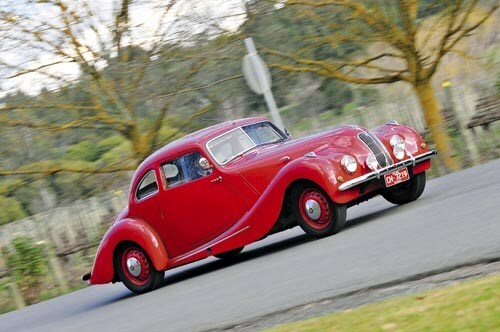 As it turned out, the hasty Post-War marriage with AFN wasn’t consummated and Bristol severed its ties with AFN in 1947, registering the company Bristol Cars Ltd.
Until 1961 all Bristol cars used evolutions of BMW-derived straight-six 2.0 litre engine. This advanced overhead valve pushrod engine with its hemispherical combustion chambers and very short inlet and exhaust ports, also powered a number of sports and racing cars during the 1950s, including all post-war Frazer Nash cars (apart from a few prototypes), some ACs, some Lotus and Cooper racing cars and several others. 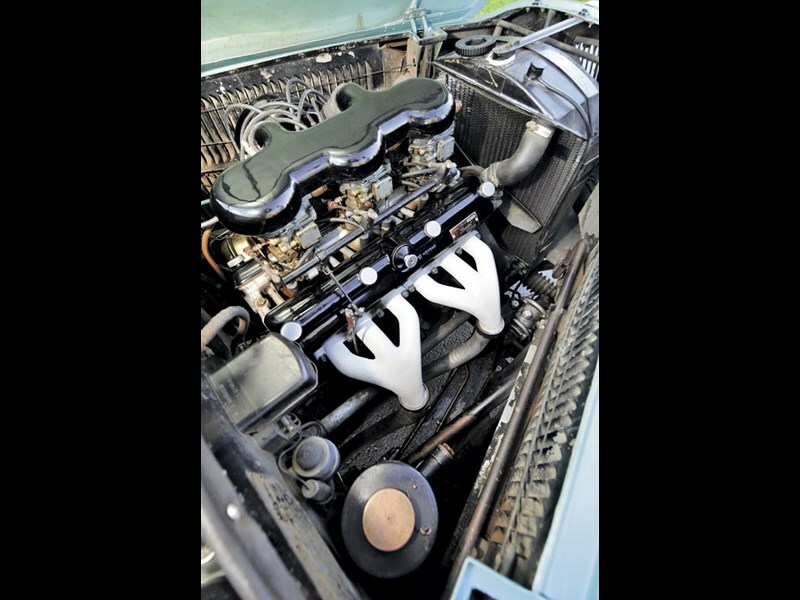 However with the launch of the Bristol 407 in 1961, the company switched to larger Chrysler V8 engines, which were more suitable for its increasingly heavy and more luxurious cars. All post-’61 Bristols including the current Blenheim two-door saloon and 360km/h Fighter T supercar, use Chrysler engines, although FIAT (Ferrari) may now have some say about this when it comes to the Fighter! 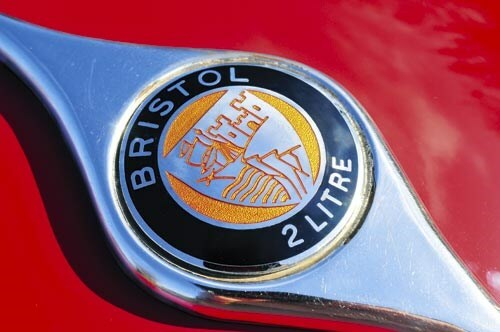 Reclusive, secretive Bristol today remains an enigma in the contracting global motor industry. 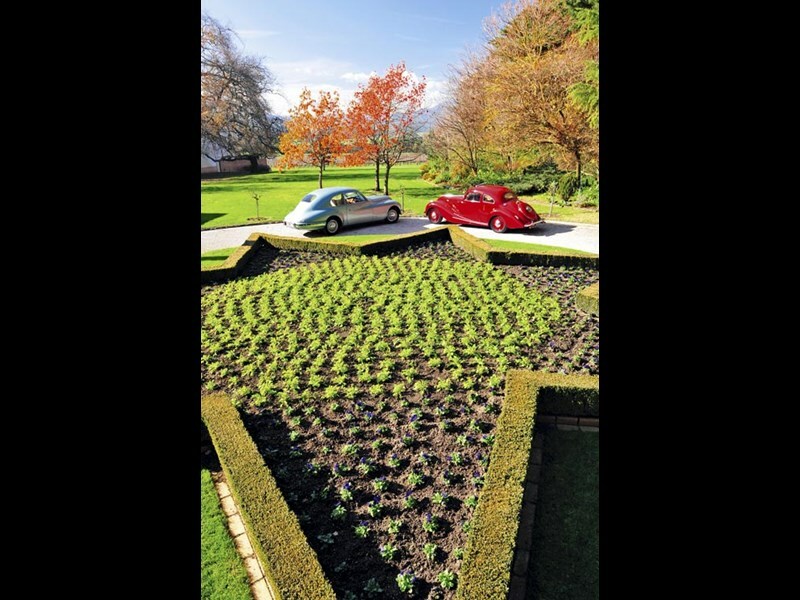 The only luxury car manufacturer under British control offers a two-model range of vehicles hand-built in Filton, near Bristol (UK) in five model variants, with less than 150 vehicles produced annually, although no official figures are given. 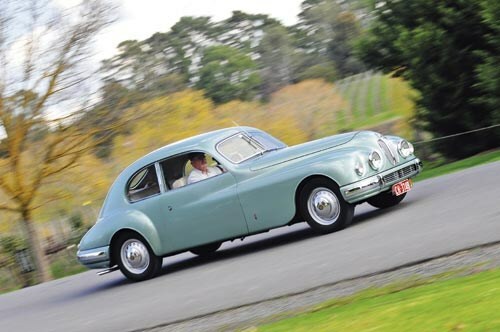 The aluminium-bodied Bristol Blenheim 3S two-door saloon is uber-conservatively styled by comparison with its ’40s and ‘50s ancestors, but gets along much more briskly thanks to its 5.9- litre Chrysler V8 and four-speed auto. It costs a not very conservative £163,294.25 ($337,000). Much more ‘out there’ is Bristol’s brutally fast, but still relatively unspectacular-looking Bristol Fighter T supercar. Powered by a twin turbo 8.0-litre Chrysler Viper-derived V10 producing a claimed 1012hp (755kW) at 5600 rpm and an incredible 1403Nm of torque at 4500 rpm, the 1595kg coupe has a potential maximum speed of more than 430km/h according to Bristol’s blurb, but has been electronically-limited to a "more than sufficient" 360km/h at just 4500 rpm. Acceleration from 0-60mph (97km/h) takes "less than 3.5 seconds" and the retail price is an equally remarkable £351,931 ($727,000). With their small production numbers, lack of glamour and no advertising, most even in the UK would not recognise a Bristol. This exclusive obscurity is very appealing to a certain class of buyer, however don’t bother searching for your nearest dealer. There is only one showroom at 368-370 Kensington High Street, London and unless they size you up as a Bristol type of owner, they won’t want your business!